It’s time for a refresher of all things Lego! We’ll play with Legos, WeDo 2.0, and Mindstorms, plus talk about Lego programming ideas. **Please note that we’re meeting on a THURSDAY, not our usual Tuesday. If you have questions, please contact Amy Malysa at amalysa@alsiplibrary.info or tinkerfolks@gmail.com. 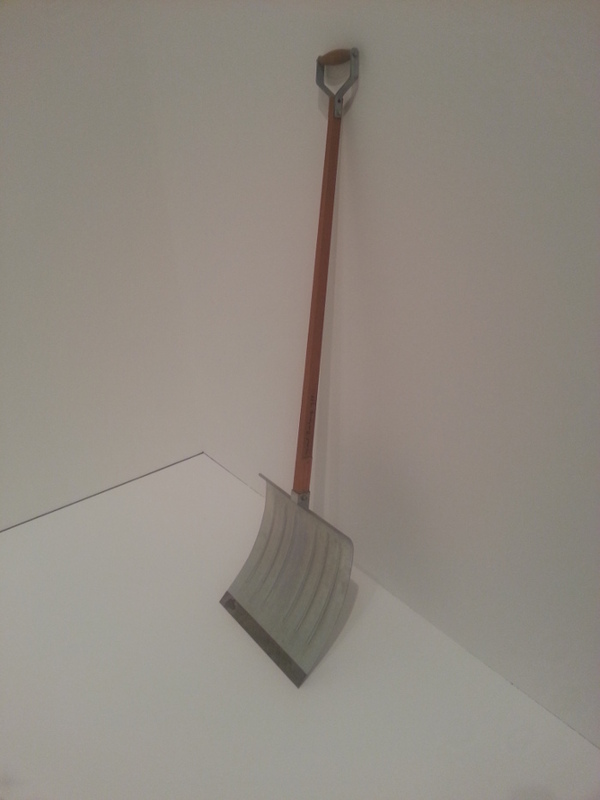 Last week I posted Listening to Art 02.05, which was the third field recording of Marcel Duchamp’s 1964 version of his 1915 readymade In Advance of the Broken Arm. This one was done at the Royal Academy of Arts in London, England. Different versions of this same sculpture were what I used to launch Listening to Art: 01.01 was recorded at the National Gallery of Canada in Ottawa (pictured below), and 01.02 at the Museum of Modern Art in New York City. If you’re interested in art and follow podcasts, I hope you’ll try Listening to Art. Here’s another library mentioned in the Archie universe: this one is the Greendale Public Library, from the Sabrina story “Equal Rites” (first published in Archie Giant Series Magazine 243 (January 1976), but read by me in Betty and Veronica Double Digest 94 (February 2001). Greendale is near Riverdale, where Archie and the gang live. Harvey runs to the library. In this story Sabrina and the others are decorating a Christmas tree when her boyfriend, Harvey Kinkle, drops by and thinks that some magic he saw was actually caused by a poltergeist. He rushes away to look up how to rid a house of a poltergeist. “Equal Rites” was written by George Gladir, pencilled by Stan Goldberg, inked by Rudy Lapick, coloured by Barry Grossman and lettered by Bill Yoshida. It is copyright by Archie Comics. 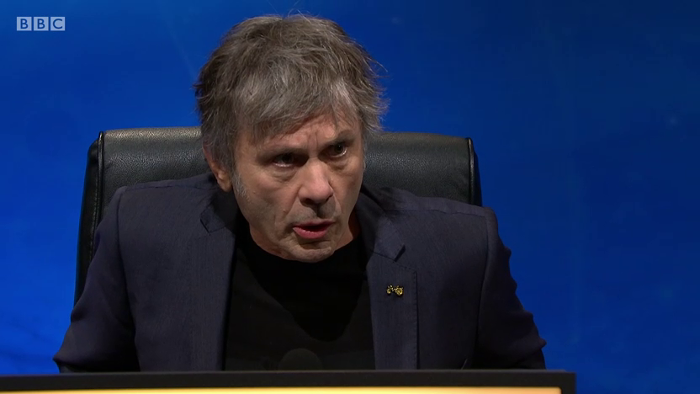 I was delighted to see that Iron Maiden singer Bruce Dickinson appeared on BBC Television’s Christmas University Challenge late last year, representing Queen Mary. 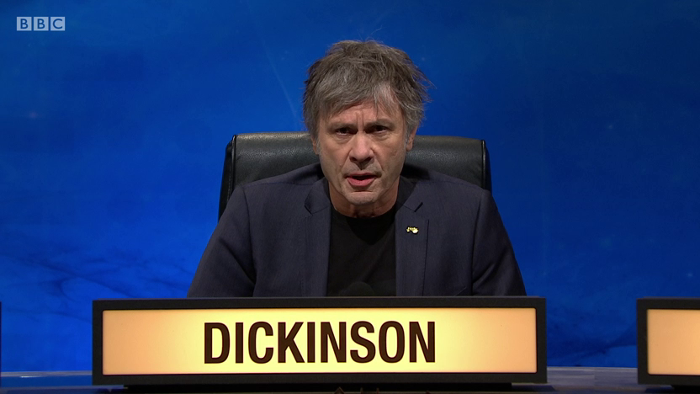 The Christmas version is a slightly easier celebrity take on the regular University Challenge, which Canadians can think of as an extremely difficult university-level version of Reach for the Top. 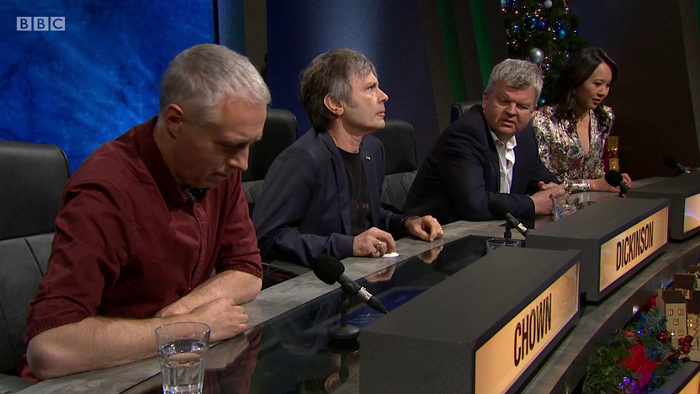 Bruce did very well and contributed a lot to the team, and Queen Mary won, but didn’t make it through to the semi-finals because their score wasn’t high enough compared to other winners. Hi, I’m Bruce Dickinson and I graduated in 1978 with a Desmond in modern history, and I ended up being a heavy metal singer, an airline pilot, [also] I brew beer, and I’m just about to discover what does this button do at this quiz. Bruce recognizes Roger Moore quote. Bruce cut off host Jeremy Paxman with the correct answer: Roger Moore. In a later question, Bruce stared into space as he tried to remember the answer. Here he is regretting that he didn’t recognize the Fine Young Cannibals song “She Drives Me Crazy.” However, he did know that Mick Ronson played guitar on The Rise and Fall of Ziggy Stardust and the Spiders from Mars. Here he is answering correctly that nickel, like iron, is magnetic at room temperature (the only other one being cobalt). Nickel, of course, is metal. 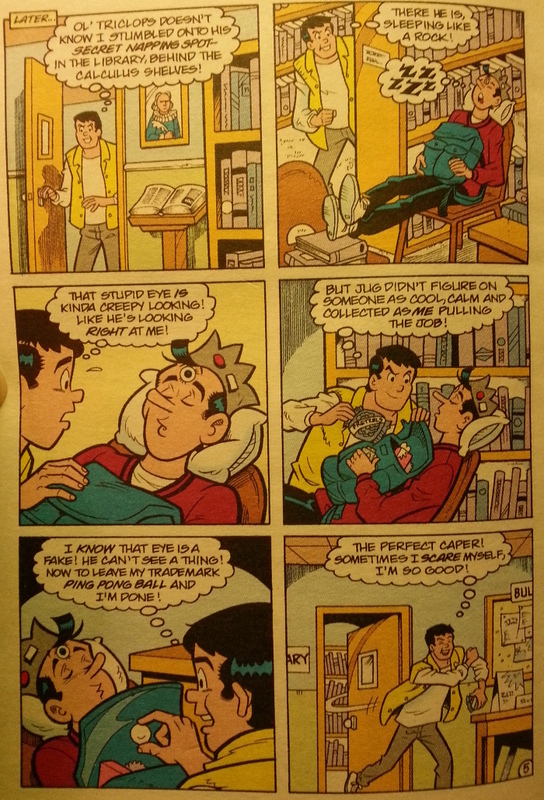 Dilton should not be ashamed. I’m with Dilton on this. In fact, not only is it nice to smell new books, it’s even more interesting to smell old books. If you ever pick up a book over 100 years old, make sure you stick your nose up close and give it a good smell. If anyone sees you they may make fun of you, but they just don’t get it. Librarians, archivists, book collectors and related types get it. The comic is most likely set in the fiction section of the Riverdale High School library, with books are arranged by the last name of the author. 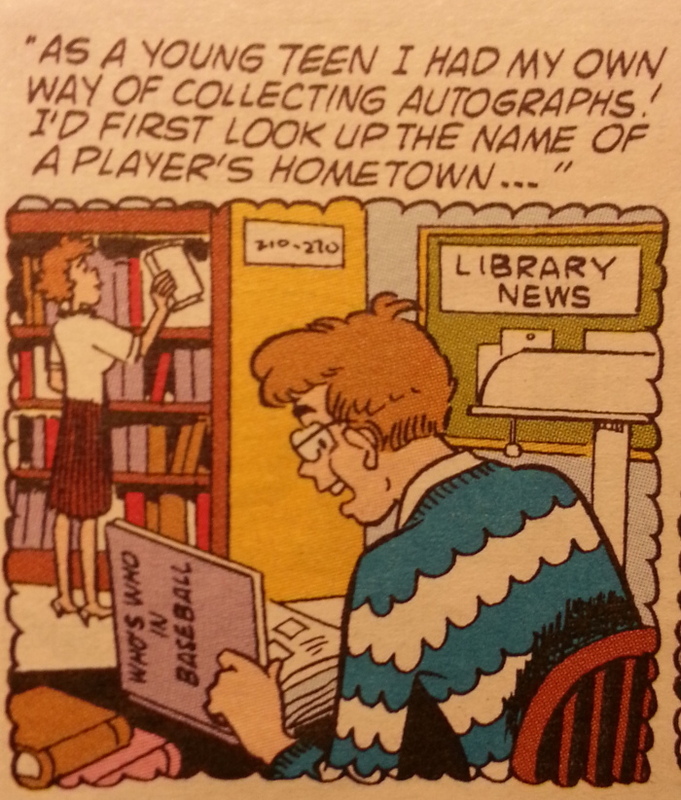 It is unusual that the book Dilton is looking at has nothing written on the cover or the spine. This is from Archie and Me Comics Digest 3 (February 2018). There are no credits. It is copyright by Archie Comics. 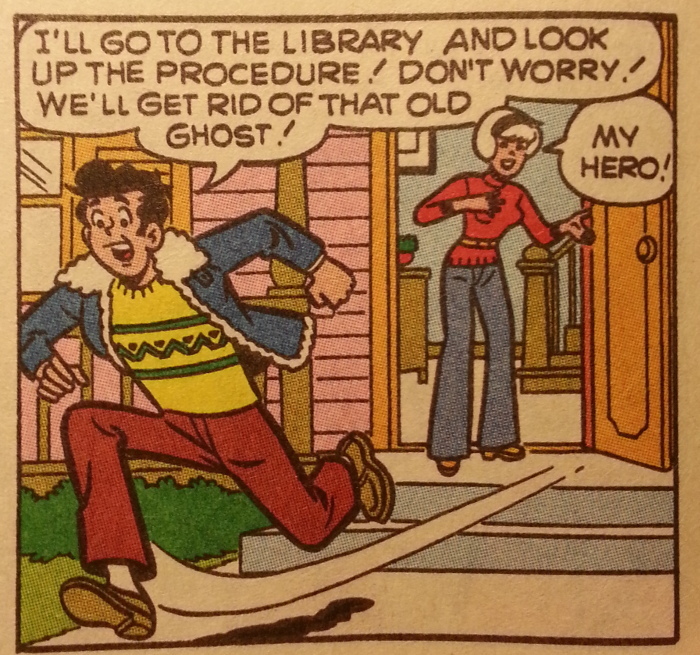 Here’s another Archie Comics panel in a library, but this one is different: it’s Hiram Lodge when he was a teenager. The story is “The Collector,” a two-parter, eleven pages long, where Mr. Lodge’s valuable collection of baseball memorabilia, which he has been collecting since he was a boy, is stolen. Spoiler: Archie figures out who did it. This panel is from Mr. Lodge’s flashback describing how much time he spent on his collection when he was young. “210–270” is a Dewey Decimal Classification range. The 200s are for religion (almost entirely Christianity, reflecting the origins of the system). “The Collector” was written by George Gladir, pencilled by Stan Goldberg, inked by Mike Esposito, coloured by Barry Grossman and lettered by Bill Yoshida. It is copyright by Archie Comics. I read it in Archie Comics Double Digest 264 (January 2018), but it originally appeared in Life with Archie 284 (May 1991). 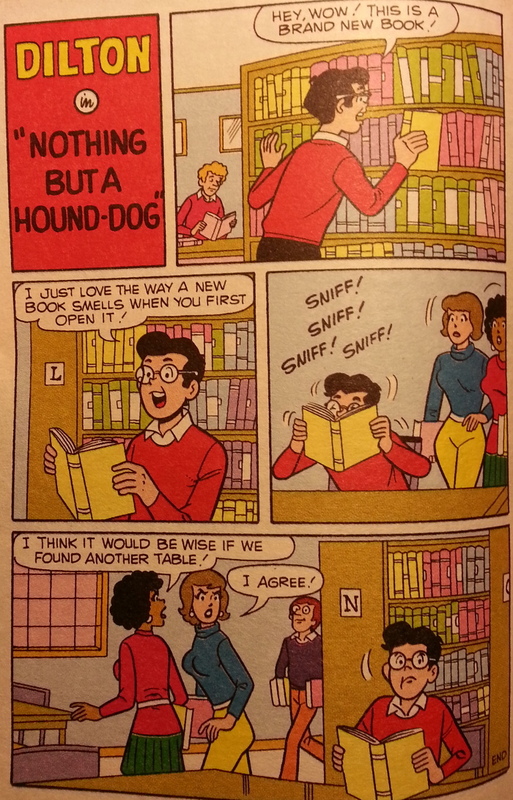 Here’s another instance of our favourite Riverdale High students going to the school library: this time it’s from “The All-Seeing Eye,” which I saw in Archie and Me Comics Digest 2 (January 2018) but which was originally printed in Archie’s Pal Jughead 157 (June 2004). Notice that the books have no shelf labels. I’m a librarian and I can confirm students sleep in the library all the time. We don’t mind. They’re working hard, they’re tired, and there are few places to grab a quick nap. Nevertheless, no librarian would ever let a student block an aisle like this, or put his feet up on a stack of books. Jughead should know better. “The All-Seeing Eye” was written by Craig Boldman, pencilled by Rex Lindsay, inked by Rich Koslowski, coloured by Barry Grossman and lettered by Vickie Williams. The comic is copyright by Archie Comics.